The Atrium C-QUR Mesh: is the Fish Oil Coating Part of the Problem? 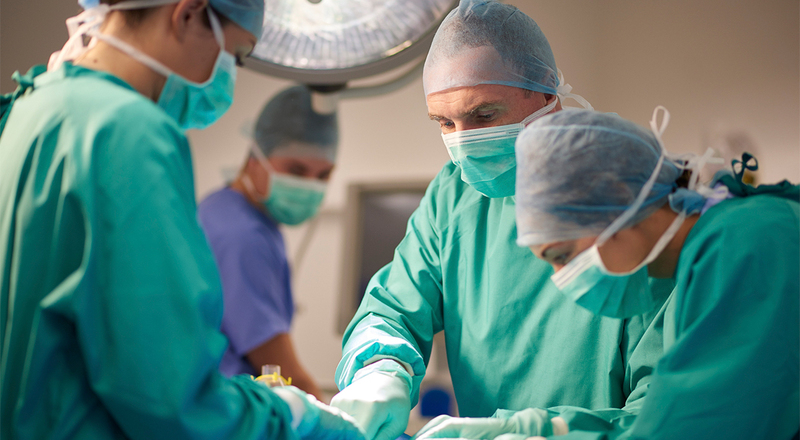 Surgical mesh devices used to repair conditions such as pelvic organ prolapse and hernias have been implicated in thousands of patient injuries. As of June 2018, more than 50,000 lawsuits have been filed against hernia mesh manufacturers. One of those companies is Atrium Medical, which was acquired by Getinge AB, a global medical technology conglomerate based in Sweden. The cause of action in lawsuits against Atrium is its C-QUR Mesh, which according to the company website is used for “hernia repair, chest wall reconstruction, traumatic or surgical wounds, and other fascial surgical intervention procedures requiring reinforcement with a non-absorbable supportive material.” Its main selling point is a special coating, made from an “all-natural Omega 3 gel coating” – in other words, fish oil, similar to the nutritional supplements sold in many grocery and health food stores. According to plaintiffs' attorneys, that fish oil coating is a significant part of the problem. Atrium states that the Omega 3 used to coat the C-QUR Mesh is “derived from highly purified, contaminant-free pharmaceutical grade fish oil.” The rationale behind this is based on the claim that fish oil has anti-inflammatory properties. However, an investigation published in 2016 in BioMed Central Surgery reported a “granuloma reaction” in a 61-year old patient who had undergone laparoscopic surgery with the mesh in question. The granuloma reaction is an auto-immune response triggered when bodily defenses perceives a foreign body. In other words, it is an inflammatory reaction – which is exactly the C-QUR Mesh was supposedly designed to prevent. Another report, filed with the FDA's MAUDE database in 2011, describes a patient who had a serious reaction to the product, leaving him permanently disabled and suffering from chronic pain. Atrium continues to stand by the safety of its product, blaming patient injuries on surgeon error. According to a story from New Hampshire Business Review, plaintiff's counsel has accused Atrium of “discovery abuse,” alleging that the defendant is withholding documents, engaging in stalling tactics and using Sweden's own privacy regulations in order to avoid compliance. On the defense side, lawyers accuse the plaintiffs of harassment, claiming their requests are “overly broad.” Specifically, parent company Getlinge claims that it bears no liability for injuries caused by Atrium products. Lawyers for the plaintiffs are attempting to obtain documents related to Getlinge's acquisition of Atrium, which took place in 2011, in order to determine the validity of its claim. Atrium Medical, which maintains a manufacturing facility in Merrimack, New Hampshire and employs 600 residents, is the target of multidistrict litigation before U.S. District Judge Landya McCafferty. Assuming the parties do not reach a settlement, the first trial is scheduled to begin in February, 2020.